When adding staff, it is required to assign them a role. Each role allows access to different features for more efficient management. 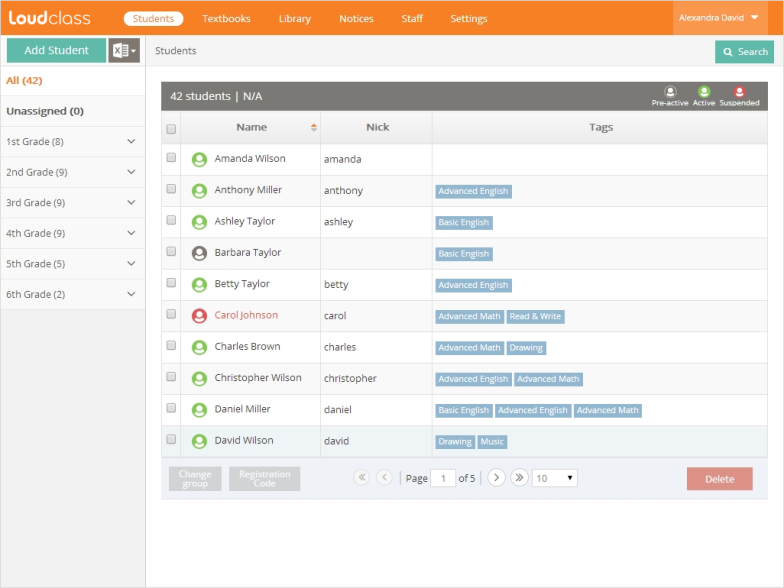 Staff will only have access to functions that are associated to their role with the exception for the administrator who has full user access. Following 7 roles are defined for the staff including teachers. 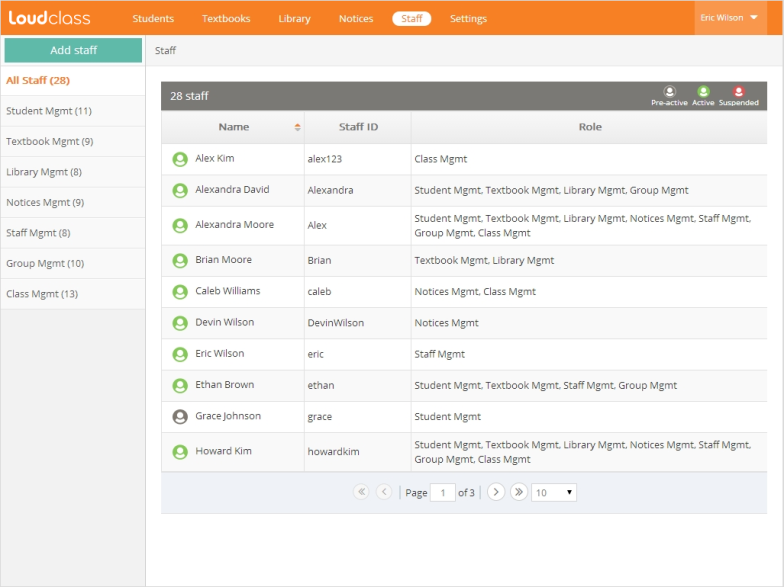 Staff assigned the student management role can add, modify, or delete students based on the classes the students are enrolled in. From the settings tab, students can be assigned a group based on their enrolled classes or skill level. Staff with access will have permission to modify sections of students information. However, they will not be able to add or delete students. 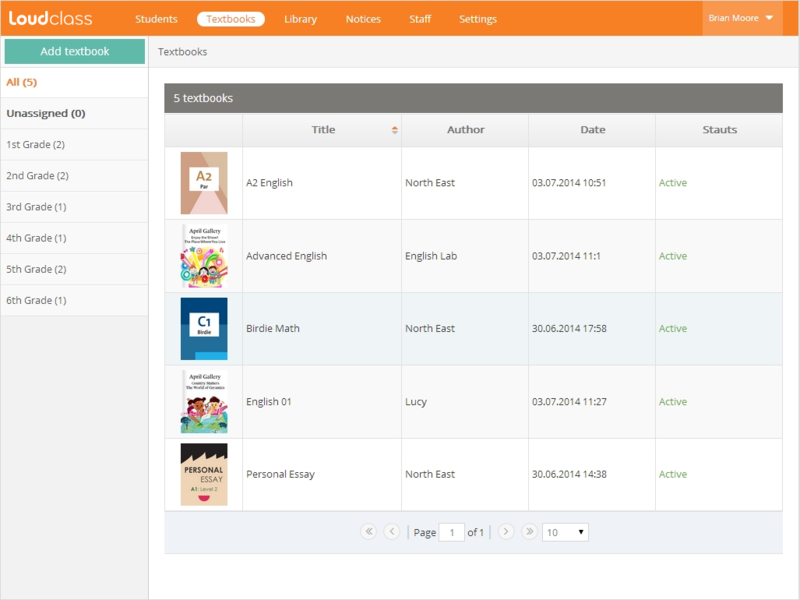 Textbook management staff can upload, modify, and delete textbook created with Loudclass Author. 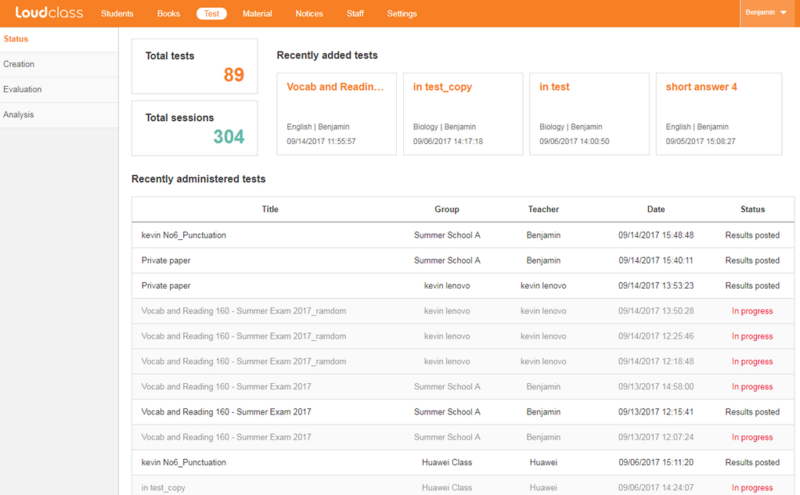 Test management staff can add, modify, and delete test. 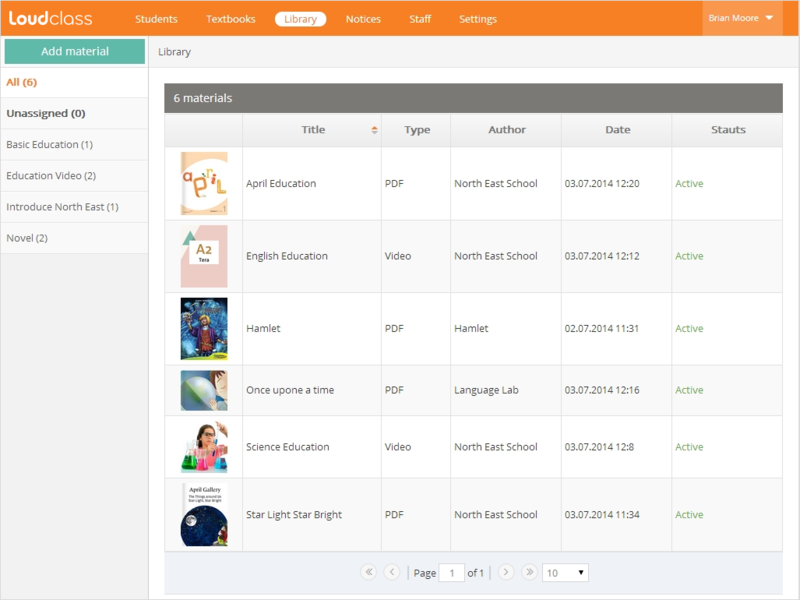 Library management staff can upload, modify, and delete non-textbook files and materials such as PDF or Video. Notice management staff can post, modify, and delete notices posted on Loudclass Interactive for teachers and students. Staff management staff can add, modify, and delete all the staff and teachers. 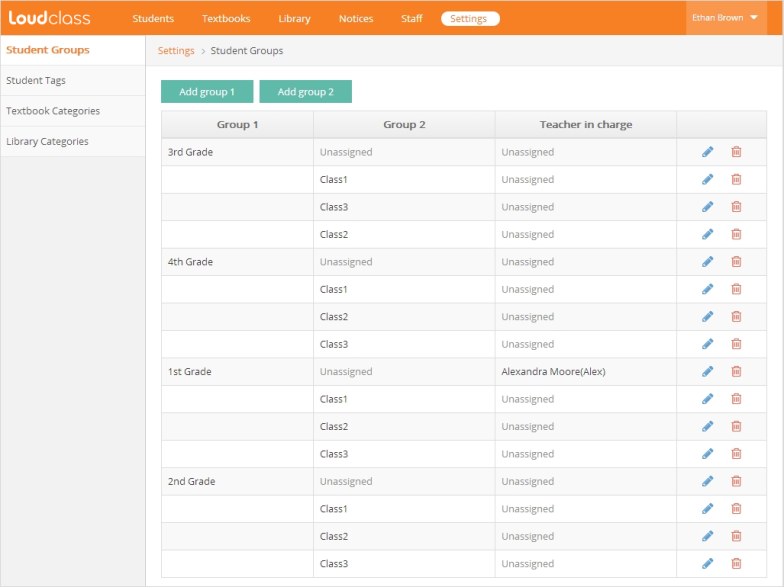 Group management staff can add, modify, and delete student groups, student tags, and textbook/library categories. 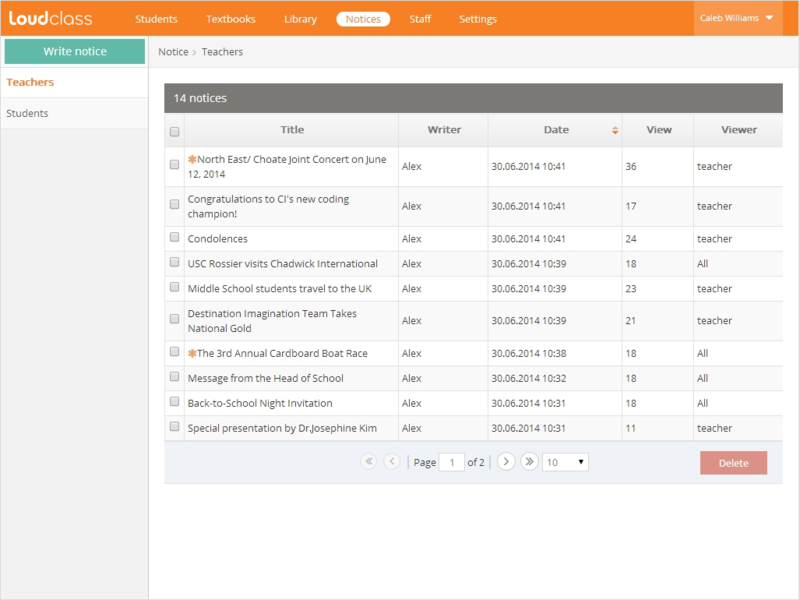 Class management is a role granted to the teachers. 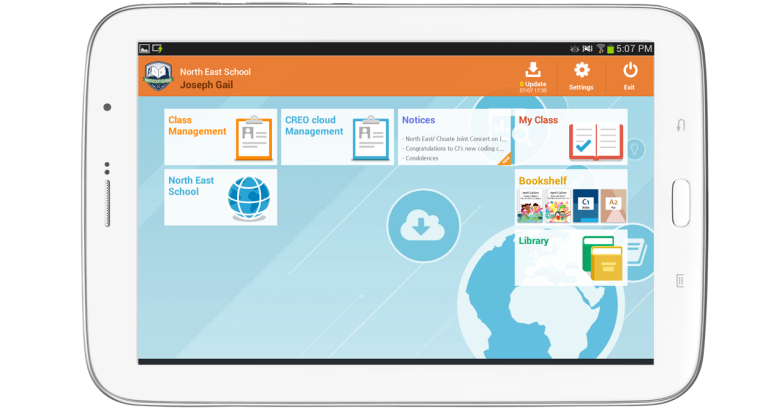 Teachers install the Loudclass Interactive App on their tablets and create and start the classes.